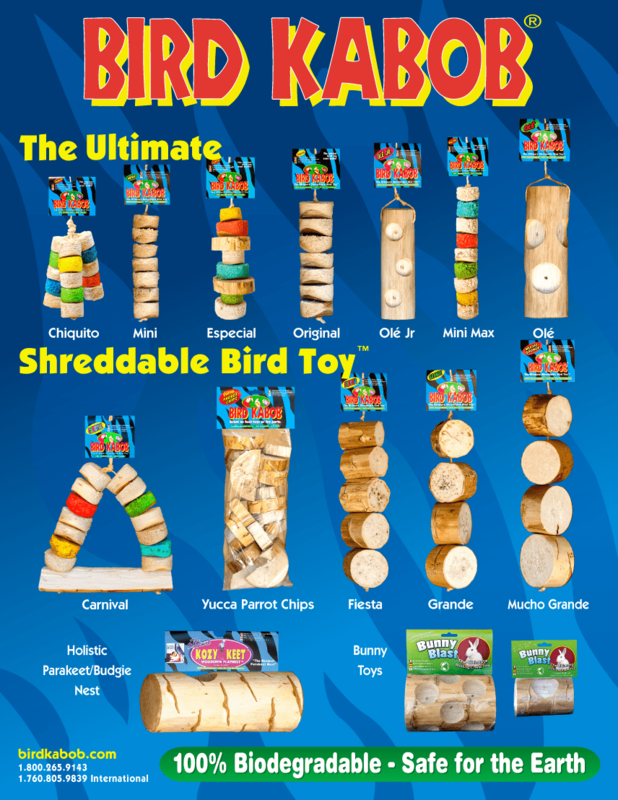 Our Bird Kabobs® and Woodchew Playnests™ are: Sustainable… Earth friendly… & 100% Biodegradable. ©2017, Wesco Pet, Inc. All rights reserved. Bird Kabob is a trademark of Wesco Pet, Inc.